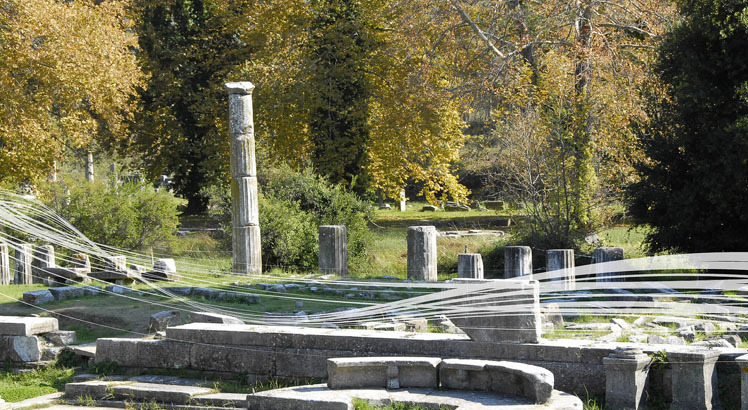 The first historical reference of Thassos island exists from Greek historian Herodotus who had visited the island. He states that the island took its name from Thassos, son of the Phoenician king Anigoras. Following the mythology, Thassos reached the island while he was searching for his sister Europa, who had been adbucted by Zeus. The Phoenicians who inhabited Thassos were mining gold and iron and included resources including wood and marble. 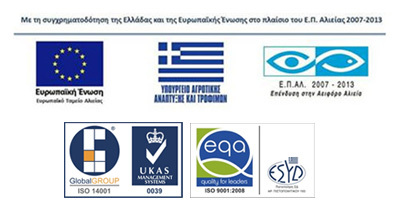 Thassos marble is famousto this day for its superb quality and is one of the most exported products from the island. In the 7th century BC, the Oracle at Delphi told the Parians “Telesiklis, say to your fellow Parians that I am asking you to build a city on the Aeria island which can be seen from everywhere” (Gerakoudis, 1986). Telesiklis with his son Archilochos along with other Parians inhabited the island. Thassos quickly developed reaching a population 60,000 people. This is why it was given the nickname “Athens of the North”. Its growth was based on rich deposits of gold, iron and marble. King Phillip of Macedon, Alexander’s the Great father conquered the island on 338 B.C and took advantage of its gold mines. In 197 B.C,the Romans invaded of the island. That is the time when the ancient theatre in Limenas was renovated. The theatre still exists today and offers a magnificent view to Limenas capital and the fully green surrounding mountains. It is open to the public and theatrical plays took place during summer months. In 52 AD, Paul the Apostle on his way from Samothrace island (the first European territory which accepted Christianity) visited Thassos. Christian churches are being built on the ruins of ancient temples and the end of an era along with the beginning of a new one starts. In 365 AD a big earthquake strikes the island and a few places of it sunk under the sea. Along with the appearance of piracy in the Aegean sea, in the 7th century AD, Slav, Saracen, Venetian and Genoan pirates conquered and plundered the island. From the 10ththrough to the 16th century Thassians lived in caves under the fear of piracy. Many coastal villages were abandoned and new ones built up on in the mountains. A typical example of this is the Limenaria Castle. Still standing and, built in 1434, it is the early town of Limenaria, which is located in the southern part of the island. In 1455 Mohammed the Second conquers the island. In 1470 Russian admiral Orlov conquers the island only for a period of four years before the Turks take it back. In 1813 the island is given to the Egyptian vizier Mehmet Ali who was born in the town of Kavala and raised within a Greek family in the village of Rahoni. He gave absolute freedom to the island and allowed a tax-free system. In summer of 1864 Emanuelle Miller, librarian in the French Parliament under Napoleon the Third visited Thassos, right after Mount Athos and the town of Thessaloniki. The purpose of his visit was to collect medieval and byzantine manuscripts in order to transport them to France as the emperor had a fondness for antiquities. During his stay on the island of Thassos, he gathered around 50 marble pillars(Mazower, 2006). While returning back to Thessaloniki he left behind “two large sarcophagus with inscriptions that were of great interest” they were too large to be loaded on board the ship to France (Mazower, 2006). After the end of the Balkan War in 1912 Thassos was set free. Apart from a short period of Bulgarian occupation (1941-1944) the island is a part of Greece. The archeological museum in Limenas hosts an exhibition of photos from the archeological excavations of the French Archaeological School. Highlights the inhabitation of the island in the pre-historic period and during the Bronze age (3500 – 1500 B.C). Moreover, it presents cemeteries of Bronze and later Iron age. Impressive exhibit is a 3.5m tall statue from the arcade period representing a young man holding a ram (600 B.C). GERAKOUDIS, Sotiris, 1986, History of Thassos, Thessaloniki: Publication Group. MAZOWER, Mark, 2004, SALONICA City of Ghosts, Harper Collins Publishers.